Single dipped, resistant to oil, grease and chemicals. 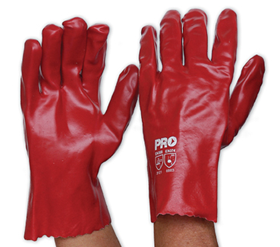 Available in 27cm for hand protection. Interlock lined for easy on/off. Application for: Automotive, Chemical Processing, Fisheries, Pharmaceutical, Pteroleum Refining, Forestry, General Plant Use, Maintenance, Manufacturing.